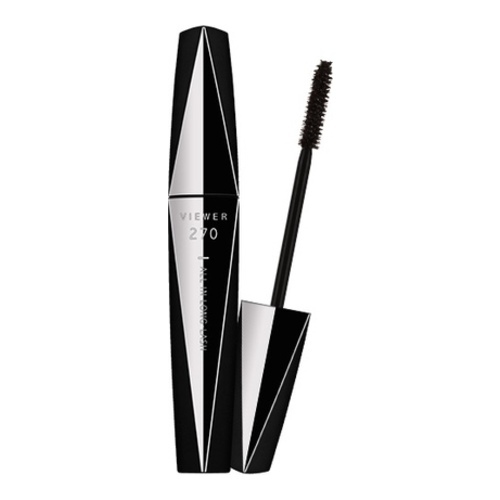 A mascara for short eyelashes that gives a glamorous, endless long lashes from every view! Water, Acrylates/Ethylhexyl Acrylate Copolymer, Iron Oxides, Beeswax, Ammonium Acrylates Copolymer, Stearic Acid, Copernicia Cerifera (Carnauba) Wax, Butylene Glycol, PVP, Hydrogenated Polyisobutene, Triethanolamine, Cetearyl Alcohol, Montmorillonite, Glyceryl Behenate, Phenoxyethanol, Glyceryl Dibehenate, Tribehenin, Glyceryl Stearate, Methylglucamine, Sorbitan Sesquioleate, Polysorbate 60, PEG-100 Stearate, Nylon-66, Xanthan Gum, Nylon-6, Ethylhexylglycerin, Disodium EDTA, Silica, Titanium Dioxide, Glycine Soja (Soybean) Seed Extract, Tuber Melanosporum Extract, Aureobasidium Pullulans Ferment, Glycerin, Hydrolyzed Pearl. 1. Sweep the brush up softly in a zigzag motion from the root of eyelashes. 2. Reapply it 1-2 times from the middle part to the end of eyelashes with long part of brush to make longer and more glamorous eyelashes.